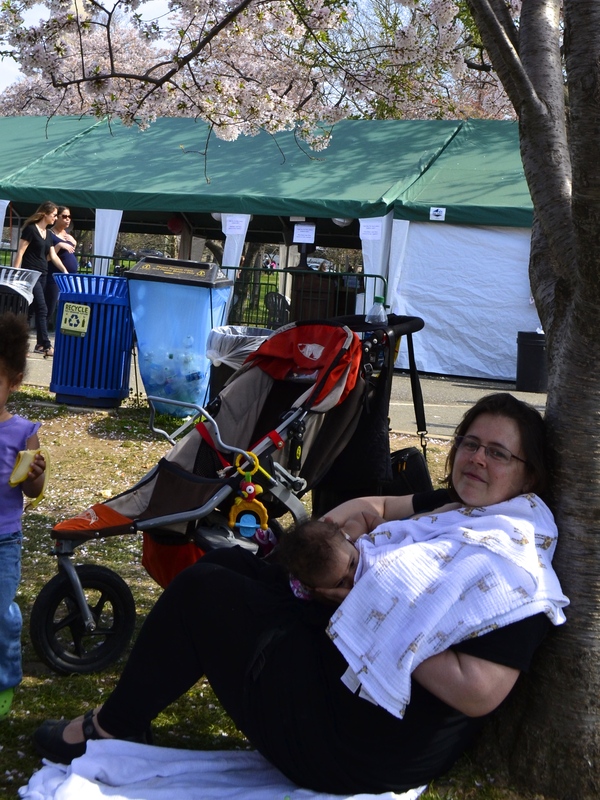 A few weeks ago, we took advantage of the then newly spring weather to check out the Cherry Blossom Festival downtown. 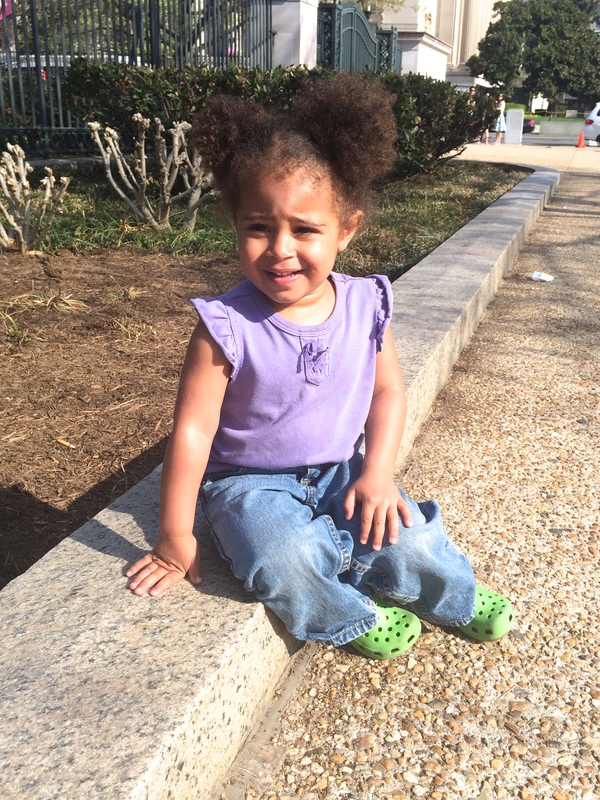 It was sunny, hot, and crowded—in other words, a typical weekend in downtown DC. I always forget that DC is a real tourist city, in a similar vein as any other large capital city. Millions of people come here every year to gawk and spend money, just as we have in other parts of the world. So it was a shock to me to get down to the tidal basin and find it absolutely packed, even at 9:00 am. Her royal cuteness. “Mom! Take a picture!” Jasmine is growing up SO FAST. 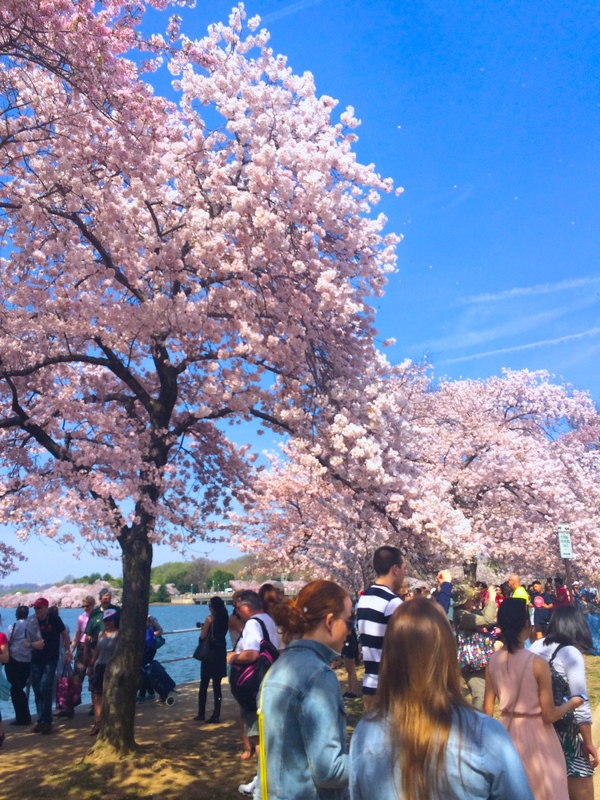 The cherry blossoms were beautiful, but honestly? My favorite moment was probably sitting down on the grass and nursing Grace in the shade while watching the crowds mill by. 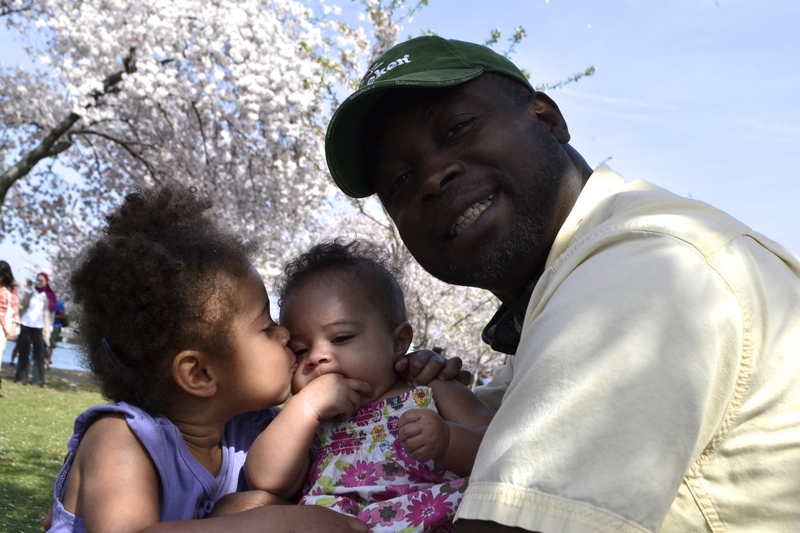 After nursing, we weren’t ready to leave the shade, so Bertrand got Jasmine and Grace to pose for several pictures. Jasmine’s kind of a ham (if you hadn’t noticed), and she knows that I love taking pictures of her kissing her sister. She insisted on giving Grace several wet smackeroos for the camera. 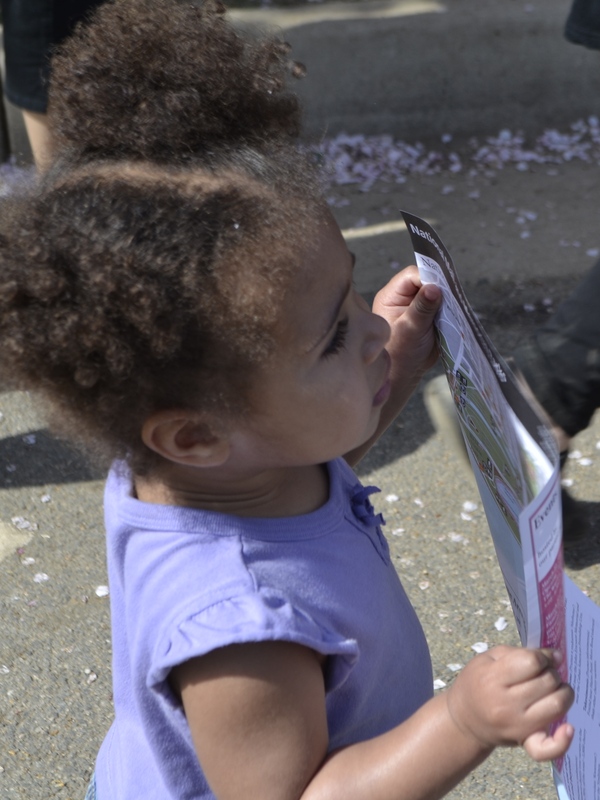 Jasmine insisted on using a map too. Nevermind that she can’t read words, let alone read a map. She had one, she pointed to spots on it, and she told us where she wanted to go. After the cherry blossoms, we took a quick detour into the Natural History Museum on our way home. 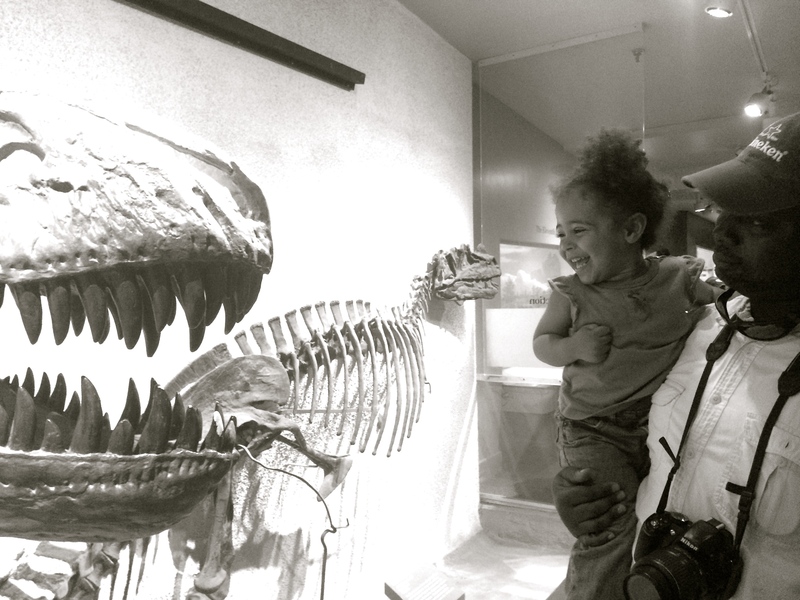 The dinosaur exhibit is closing for the next few years, and I wanted Jasmine to check out the fossils before we left. Hi, my name is Theresa. I am an expat, logistician, traveler, writer, paper crafter, lover of books and coffee, and occasionally doting mother. I am foul-mouthed, not nearly as diplomatic as my professional might imply, and fiercely feminist. The opinions expressed here on SVO are my own and do not reflect the opinions of the Department of State or the USG. While I frequently link to services and products I like, I receive no renumeration, financial or otherwise, for doing so.